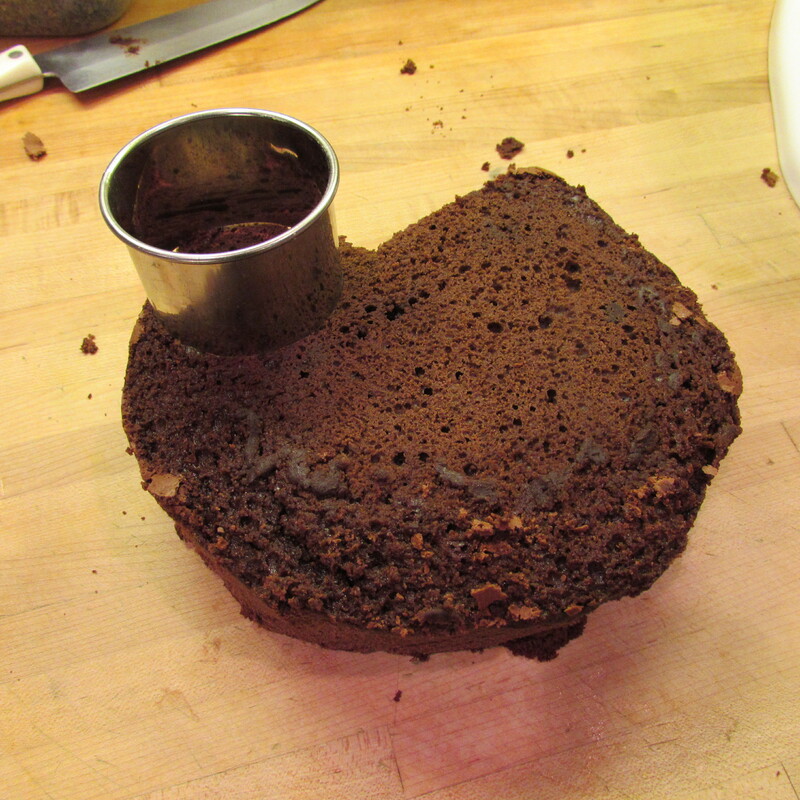 Sometimes cakes just don’t work out. Maybe you measure wrong, maybe the moon is in the wrong sign, maybe the energy just isn’t in the air. 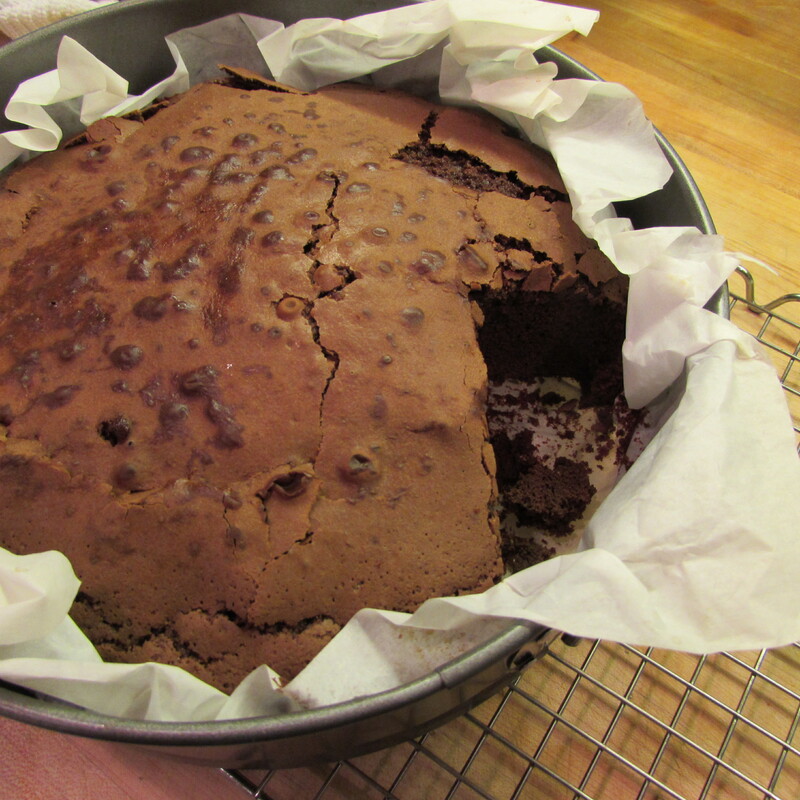 Whatever the reason, we’ve all produced a sub-par cake. But what do you do when your cake isn’t what you wanted it to be? Repurpose it and call it something entirely different! I recently made a sponge cake from The Cake Boss’ recipe. The cake was awesome! 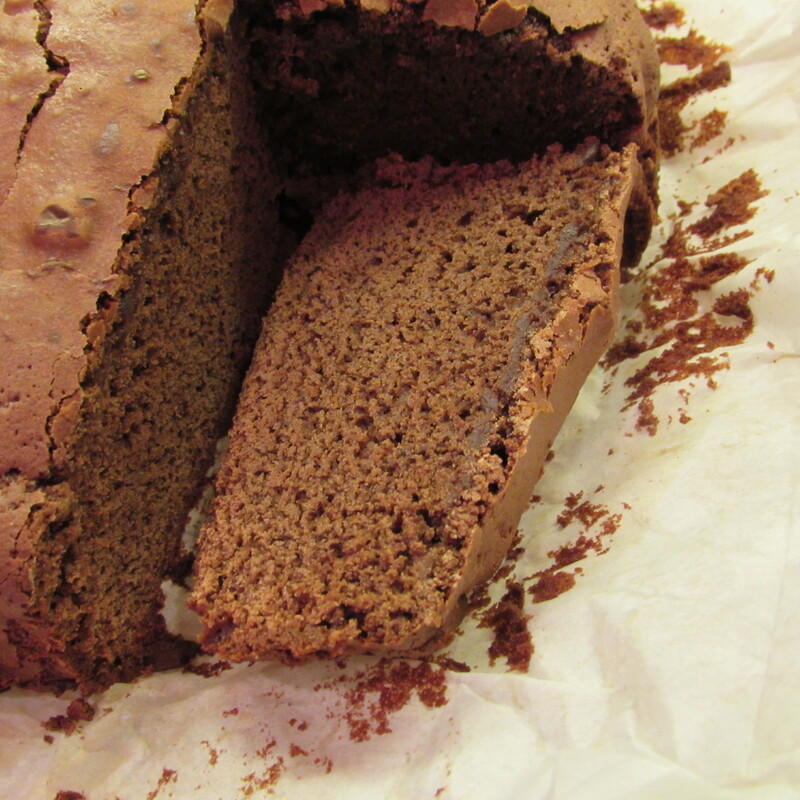 But when I went to do a little amending of my own to make it a chocolate sponge cake, something was lost in translation. 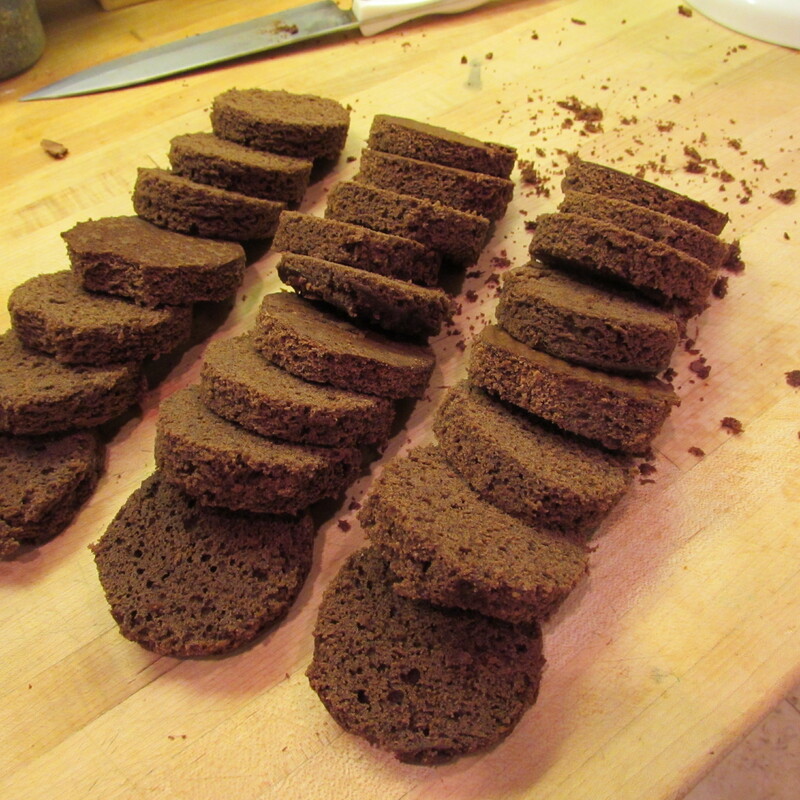 The flavor was there, the crumb was there, it just seemed too dry for me. But I didn’t want to throw it away because I knew there could be other uses, and I had just used up the last of my good chocolate. 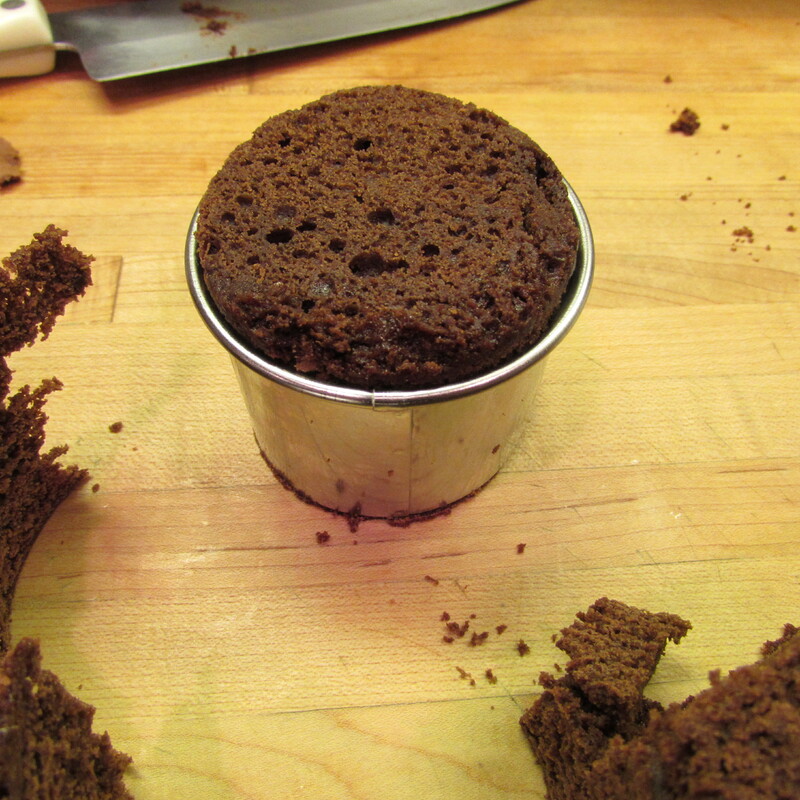 The first thing I did, after I cut this huge sample chunk out was to wrap the whole cake in plastic wrap to preserve what moisture I could, and let it rest over night. 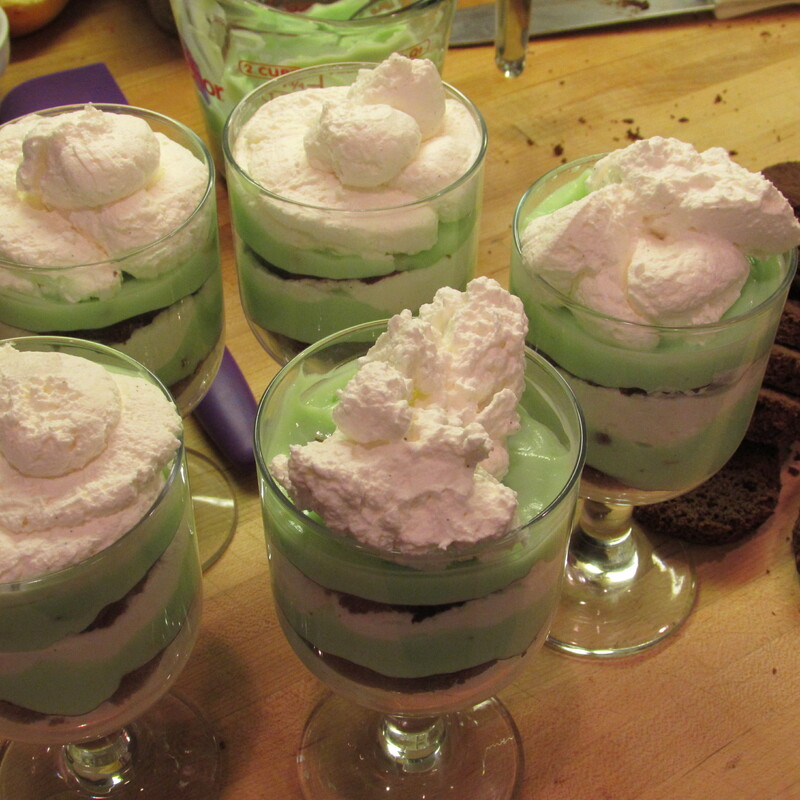 Next, I searched my stack of pudding packets and assessed my whipping cream situation. Sweet! Pistachio – my favorite! 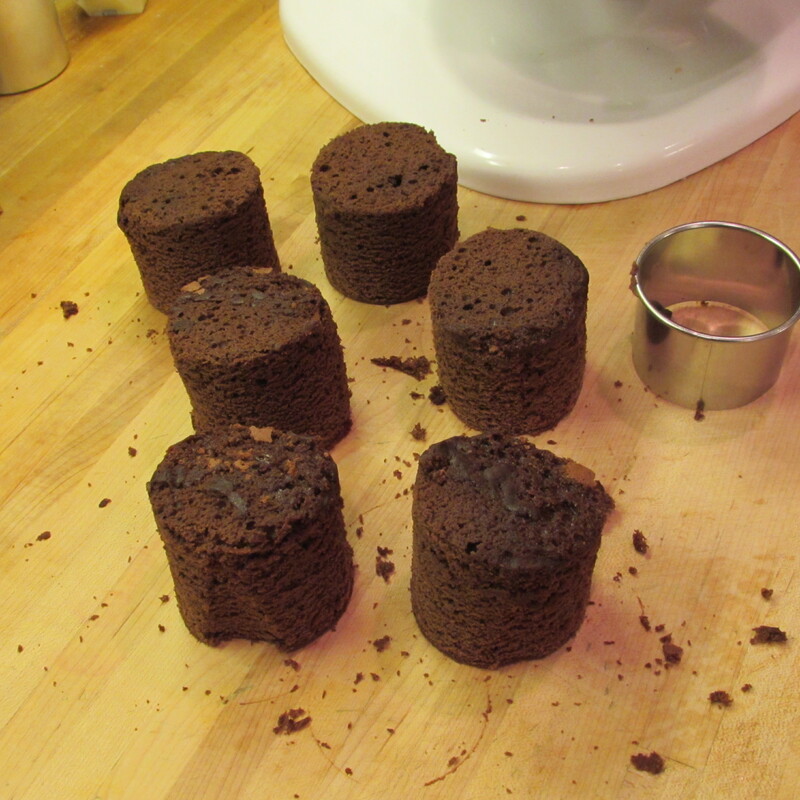 So I whipped up some pudding and cream, grabbed my ring mold and started cutting layers. 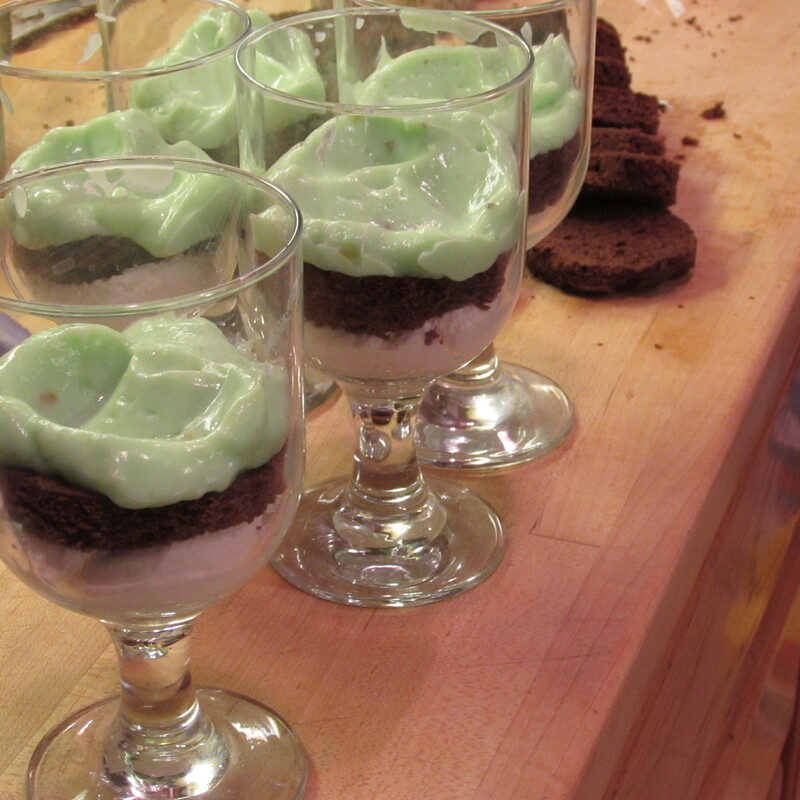 Using these fancy dessert cups, I began layering first with whipping cream and finishing with whipping cream. 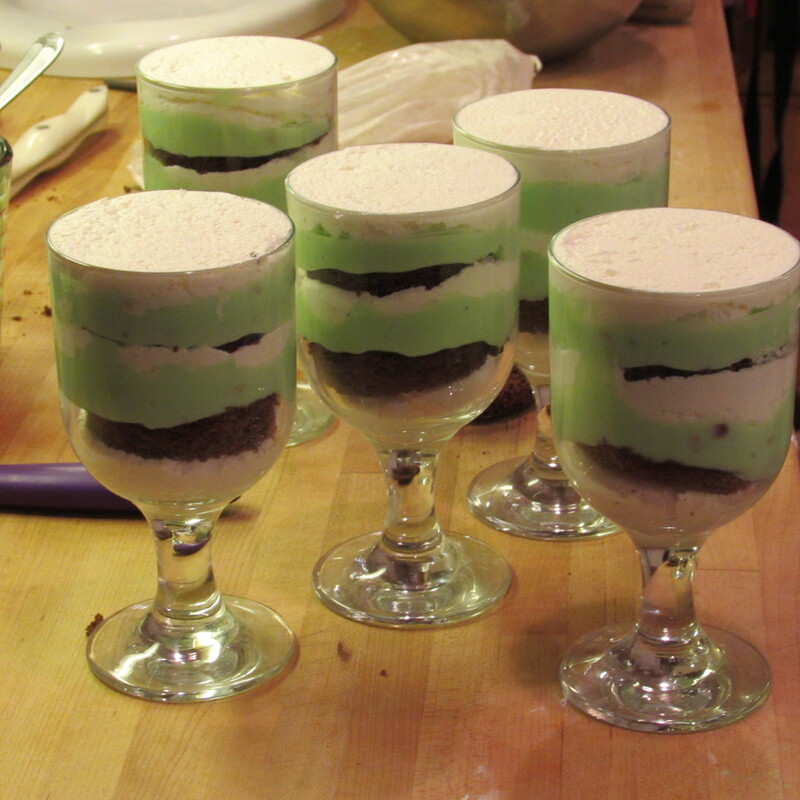 I evened out the top later of cream with the edge of the glass and put in the refrigerator to rest. 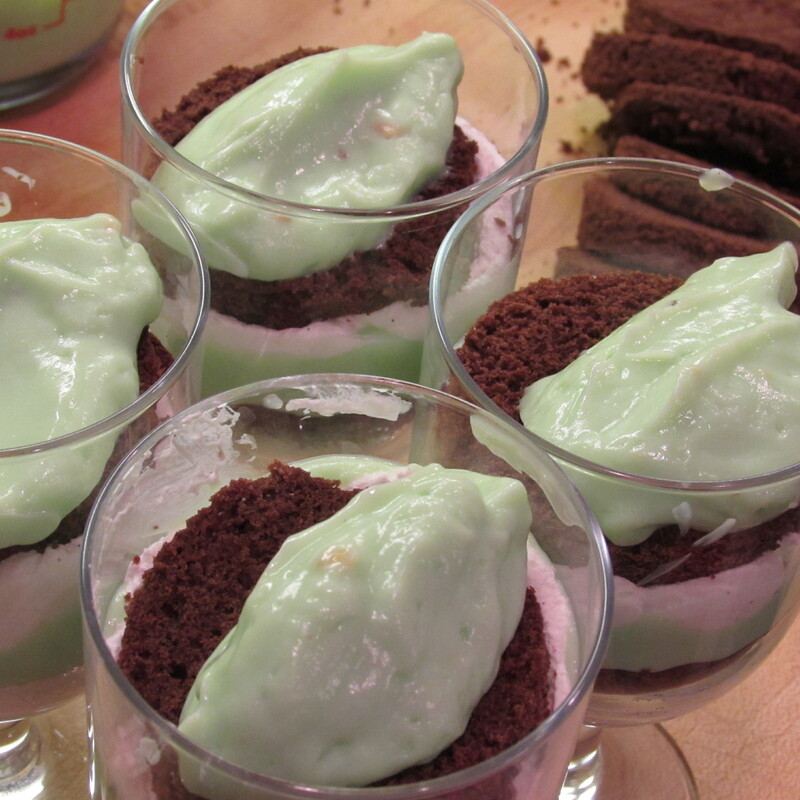 Tags: chocolate pistachio torte, dessert cups, easy dessert cups, food, pistachio pudding, pudding desserts, recipes, what to do with dry cake, what to do with leftover cake, with images. Bookmark the permalink.